Tackier than white glue - use less! Strong bonding glue for all kinds of crafts. For decoupage, glitter, sequins, buttons and felt. We use this glue for everything and go through so much of it. This is my stand-by. It's thicker than Elmer's and dries very fast. I love it! Great price best glue for all surfaces. 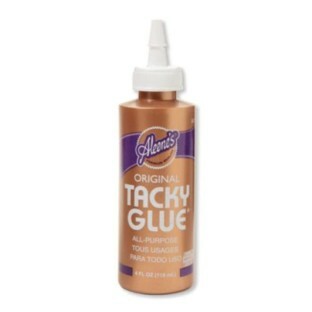 We use the Tacky Glue for our craft class. Make sure you ensure lids are on securly because it can dry out quickly if left open.